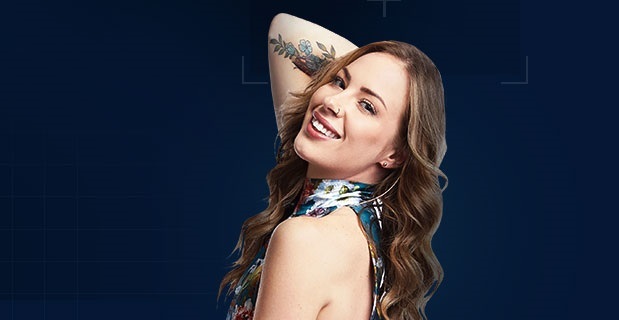 There’s no doubt that Samantha Picco had herself quite the ride on Big Brother Canada season 7. She had a notable showmace with Adam, she performed very well in competitions, and she was the second female houseguest this season to be evicted from the house immediately after winning Head of Household the prior week. She fell victim to the Pretty Boys alliance, who have been running this ship from the beginning, and we were certainly eager to see where Sam’s head was at now. That’s what this new interview is all about! Below, you can see what Sam had to say in regards to her eviction, being the first member of the jury, and also what would’ve happened had she stayed and won Head of Household. To go along with this interview, be sure to also check out our video below for more thoughts on the eviction + the new Head of Household from last night! For more insight, subscribe to CarterMatt on YouTube and be sure to also view our official Big Brother Canada playlist. 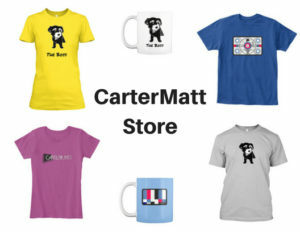 CarterMatt – How are you feeling one day removed from being in the game? Sam – Honestly, I feel good. 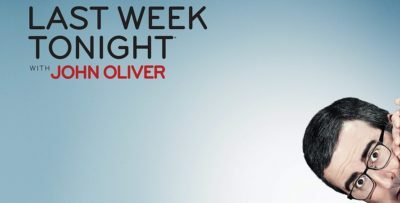 If I wasn’t in the jury house this would be a different conversation, but I feel super-proud of everything that I accomplished in that house and I feel I had the full Big Brother experience. I can’t lie — I’m a happy camper! If you could ask one question right now to a houseguest still in the game, who would it be, and what would the question be? It might be to Anthony — I feel like I may already know the answer, but when Anthony spent some time during my HoH room during my HoH week, we had a conversation about trust and moving forward in the game together. I’d like to ask him if there was any truth to that at all. I feel like he wanted me out of this game early on, and I’m wondering if he ever really considered working with me. How do you feel about being the first member of the jury? There are mixed emotions. I really feel like I deserve to still be in this house, but I also feel like I really made some detrimental game moves — an avalanche, a disaster that led me to this particular point. Nobody really put me here but myself, but like I said I’m really proud of everything that I have accomplished. If you had stayed and won Head of Household, who would you have targeted? Big Brother is all about timing, so if I was HoH right now, I’d take a big shot. I want to go after Cory because Cory didn’t trust me and came after me when I really thought we had some trust. So I would take a shot at Cory or Anthony or maybe Dane. But if Dane and I were in the house together we could probably work more together than Anthony and Cory. So I would probably take a shot at Anthony or Cory. How tough is it being away from Adam after being so close to him for most of the game? I miss laughing! I miss having someone to spend all my time with. We care for each other — well, I care for Adam. I can’t speak for Adam. It’s still super fresh, so all of the things that are happening are super exciting. But, I miss him. I’m sure it will get harder as time goes on, but it’s only a matter of time before I see him again. Are you thinking of a future with Adam outside the game? I think I’d be stupid not to explore that and see what the real world has to offer and see if we can get through some real challenges. The real test is once we step outside in the real world together and see what’s in store for us. The good thing about Big Brother is that you get to know people a lot quicker than you do in the real world. I’ve seen Adam more than most people in my life for the entire year. We were able to jump-start our relationship, and we’d be silly to not see what happens outside of [the game]. Is there anything you’d consider to be your biggest regret right now? Not backdooring Cory! I wouldn’t be here. If I had trusted Adam and Dane saying I had the numbers … but I never really felt like I could trust Dane. I felt like I was building something strong with Cory. Now that I’m looking back on it, I think there was a bigger plan! I wish that I had taken the opportunity and backdoored Cory when I had the option. What was the hardest thing about being in the house this season? Lying and manipulating is a big part of the game, and that’s not something that comes naturally for me. I felt like I could go in that house and be pretty honest and truthful. I was so wrong! You have to be able to flip conversations and store them away and regurgitate them at the right time. I wasn’t good at that! I was good at following my heart. I feel like I had a relatively good gut, but you gotta be able to lie in this game and it’s just not my nature. Who do you think will join you on the jury next? Unfortunately, my gut says that Kyra is coming in after me. I’d love to see Este because I feel like she’s been riding on coattails the entire time. I feel like it’s going to be Kyra — I don’t want it to be Kyra, but I would absolutely love to see Anthony walk through those doors or another big player that is sitting pretty. Anthony has a way with his words and hasn’t had to pull out any wins and I think he feels pretty comfortable.